To demonstrate the skills and ability required to analyse a business plan and evaluate its strengths and weaknesses. Review two completed business plans. Analyse the strengths and weaknesses of each business plan, and prepare two written reports of your findings. Read the business plan ‘Quality Training’ (see Appendix 1). Compare and contrast the business plan against the criteria for effective business plans, as described in your workbook or other reference materials. Compare the strengths and weaknesses of the business plan. 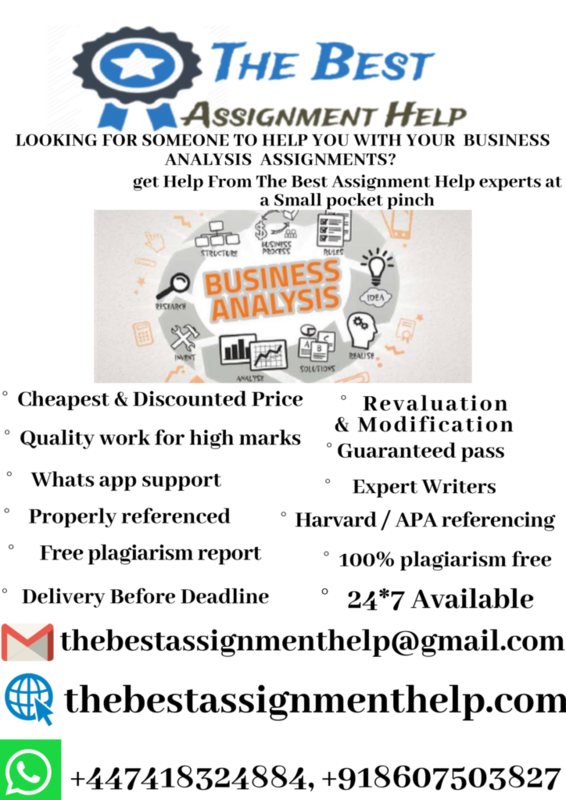 Complete a written report, detailing a critical analysis of the strengths and weaknesses of the business plan. Bplans.com, 2010, ‘Free sample business plans’, viewed October 2010, <http://www.bplans.com/sample_business_plans.cfm>. Submit two completed reports, analysing the strengths and weaknesses of two separate business plans. Each report should be properly formatted and logically structured. Compare and contrast with text book structure and layout. Comment on quality and relevance of information. Comment on quality of information, i.e. did the business plan demonstrate adequate research on competition market conditions? Comment on quantity of information – was there sufficient information to determine the likely success of the business in accordance with its performance measures? Were the performance measures specific and realistic? Was the document well set out, easily understood and pitched at an appropriate level for the reader? Quality Training has been operating as a Registered Training Organisation for 12 months. Following is a summary of the main points of this plan. The objectives of Quality Training are to generate a profit, grow at a challenging and manageable rate and to be a good corporate citizen. The mission of Quality Training is to exceed our customers’ expectations by providing them with effective training and development services, relevant to their needs and in line with national quality standards. The keys to success for Quality Training are marketing and networking, responsiveness and quality, and generating repeat customers and word -of-mouth business. The initial primary service offered will be nationally recognised qualifications Certificate IV in Business (Frontline Management) and Certificate IV in Workplace Assessment and Training. We will also offer Fee for Service training, tailored to individual client needs. Quality Training will explore opportunities to extend its scope to maximize business opportunities and meet customer needs. The local market for this business is growing and is open to new service providers who can offer superior individualised services. An initial financial analysis of the viability of this venture shows that Quality Training is well positioned to maximise on profit opportunities, has few ongoing capital expenses and has sufficient funds to negate the need to go into debt. Operating costs are minimal due to the owner/operator style of operation. During 2006–2007, the intention will be to use opportunities gained through existing client networks and scope extension to grow the business and increase trainee numbers. In 2005 (for 2006), Quality Training will apply for New Employee government funding to remain competitive with other RTO’s. In conclusion, as shown in the highlights chart below, this plan projects rapid growth and moderate net profits over the next three years. Implementing this plan will ensure that Quality Training quickly becomes a profitable venture for the owners. To provide a written guide for the ongoing management of this training and development business; a strategic framework for developing a comprehensive tactical marketing plan. The intended audience includes the owners of this business and representatives from the State Training Authority. The scope of this plan is to provide detailed projections for the current plan year, and for the following two years. Profit – To achieve a net profit of $100,000 in the next financial year and a 25% increase in profit each succeeding year. Growth – To grow the business at a rate that is both challenging and manageable, leading the market with innovation and adaptability. Growth from 16 trainees in year ending 2005 to 300 trainees in year ending 2007. Citizenship – To be an intellectual and social asset to the community by networking with community organisations such as the Chamber of Commerce, and offering services to charitable organisations when required. Purpose – Quality Training exists to provide high quality, relevant training and development solutions which make a discernable difference to the client’s business productivity and performance. It also provides students with nationally recognised qualifications (where applicable). Vision – By providing quality training and excellent customer service, Quality Training will satisfy and expand its customer base, allowing the business to maintain profitability. Mission – The short-term objective is to start this company quickly and inexpensively, with a minimum of debt. The long-term objective is to grow the company into a stable and profitable entity that the owners can easily and comfortably manage. Marketing slogan – ‘Quality Training – Training that makes a difference!’. Marketing and networking – identifying and following up potential clients. Quality – ensuring client satisfaction through superior training materials, training delivery and follow-up. Consultation – effective training needs analysis and client consultation, to ensure the right training is delivered to the right people to meet the client’s needs. Relationships – developing loyal repeat customers. Follow-up – monitoring student performance on the job, during and after training, to ensure effective transfer of skills and knowledge. Growth – assessing client needs and obtaining appropriate training solutions by extending the scope of registration, or by developing suitable stand-alone/Fee for Service training packages. Quality Training is a Pty Ltd Company with the two directors who manage and own the company. Quality Training will initially operate from a home office to keep overhead costs low. Quality Training has no current debt. Quality Training is owned jointly by Michael Chapman and Elliot Berkley. Profit and Loss Statement for end of financial year 2005 is attached. This is a home office venture, located in the study area of the owners’ existing home. Computer facilities – stand-alone desktop computer installed. Telephone – one line currently serves the location. Mobile phones for each Director. Broadband installed for internet and email functions. WorkCover OHS Committee Training (pending registration at 15/1/06). Quality Training will conduct training needs analysis and develop specific training materials and packages at the request of clients. In-house training departments/personnel – usually employed by larger companies that can afford the fixed costs of employees. Public training providers (TAFE) – well established and respected, offering public courses and qualifications in a broad range of subject areas. Private registered training organisations – offering similar training and qualifications to Quality Training, and targeting the same client base. Quality Training does not intend to target large organisations, who tend to have their own in-house training departments. While TAFE offers the same qualifications and is a highly recognised training provider, it does not offer flexible work-based training and delivery, which will be the focus of Quality Training’s approach. Private RTO’s will provide the greatest threat to Quality Training. They are often national providers and, as such, can provide services to businesses with franchises or branches in other states. The local phone book lists seven training companies in the Penrith area. These are not large providers, with the exception of two community colleges. There is a large TAFE. Many of the training organisations in the area are quite specialised, e.g. Retail Skills Training and Computer Training. These are not perceived as a threat to the success of Quality Training entering the local market. clean record – no history. personalised service – training is conducted by the people who own the company and who meet with the clients. This is a level of commitment other training organisations may not have. knowledge of local political situation and potential areas of growth. Competitive market placemany RTO’s and training organisations competing for business. Competitive market placeas above. offer a range of training services outside of traineeships. Network with friends and acquaintances to source business opportunities. Develop strong marketing materials, including a website so that we can ‘hit the ground running’ on receipt of registration. Look for opportunities to deliver non-accredited training prior to becoming established as an RTO. This will bring in some additional income to offset costs, and will assist in developing our client relationships. Timeframe expenses – purchase materials and equipment when we need them rather than upfront. Be flexible in our working policies and procedures. Think about contracting staff as required (rather than employing them to save costs) to eliminate the need for larger office space. Stay up-to-date with relevant legislation and industry requirements. Review websites regularly. Subscribe to industry publications and attend meetings or workshops when possible. Anticipate changes and act quickly to avoid issues with compliance to AQTF standards. Look for opportunities to develop mutually-beneficial partnerships with other RTO’s or businesses. By keeping the business diversified and offering a variety of training and development solutions, the risk of losing Government funding for traineeships will be minimised. Quality Training has identified potential clients from a number of industries. Because the training offered is focused on management, people or supervisory skills, the nature of the client’s industry is not particularly relevant. Because the larger retailers (i.e. Coles and Woolworths) have internal training departments, our focus will be on the independents, such as IGA supermarkets, who have the autonomy to select their own training providers. In the industrial and manufacturing industries, we will focus on medium-sized businesses employing between 20 and 200 employees. Within Penrith there are a number of ‘industrial parks’, and so targeting business in these areas will become a key focus. While there are a number of competitors in the local area, they seem to be widely specialised and sized, leaving ample opportunity for Quality Training to create and expand a niche in the chosen market segment. the number of people joining the workforce each year is declining. Schools are emphasising the importance of gaining recognised qualifications to their students. Many schools are now offering vocational subjects which will provide students with a nationally recognised qualification upon leaving (VET in schools). Employers are finding that, in order to attract high quality applicants, they need to offer them opportunities to continue with their education. Traineeships are an effective and inexpensive way to do this. Another trend which Quality Training intends to take advantage of is the requirement for businesses to comply with State and Federal legislation in the areas of occupational health and safety, harassment, discrimination and unfair dismissal. Many small to medium businesses do not have in-house human resources facilities and, as such, need to train line management in understanding and complying with this legislation. Quality Training will offer this training in addition to other nationally recognised traineeships. Quality Training will utilise a number of strategies in its marketing plan. Personal contacts – Quality Training will network with friends to identify potential business opportunities. This will be done informally through the mailing of brochures and information, with a follow-up by phone. This method has already proven successful, with a number of potential clients identified and interested in utilising the services of Quality Training once we are properly accredited. Cold calling – Quality Training will identify potential clients through the phone book, and by driving through the industrial estates to obtain business names and addresses. Quality Training will then call and forward information to these businesses in the hope of arranging a personal meeting. Internet – Quality Training will develop a website advertising its services to the general public. Yellow Pages – Quality Training will advertise in the Yellow Pages. Networking – Quality Training will join the local Chamber of Commerce, to promote its services and develop relationships with local businesses. Quality Training will have a brochure professionally produced, outlining our mission, values and the training services we provide. Business cards will also be produced and handed to friends and business acquaintances. Quality Training will also maintain a professional website which will be updated regularly. Quality Training holds a competitive advantage over a number of its larger rivals. Owner operated and with low overheads, we are able to charge less for our services, whilst maintaining the same quality of training and generating a profit. This business plan is formulated on assumptions, particularly with regard to financial forecasting. Consequently, it is the intention of Quality Training to review this business plan on an annual basis. Are we targeting the correct market segment? Are we capitalising on networking opportunities? Are we under/over-resourced (staff, equipment, etc.)? Do we need to make any changes to our scope of registration in order to meet customer needs? What adjustments need to be made to the business to ensure success? To demonstrate the skills and knowledge required to develop and communicate a business plan. Use the information provided in the case study ‘Fast Track Couriers’ (see Appendix 1) to develop a business plan to support the company’s strategic and operational goals. Develop a plan for communicating the business plan to relevant parties. Review the information in the case study. Analyse and interpret the current business environment, goals and objectives embedded in the case study. Consult with your assessor (assume the assessor is a key stakeholder) and discuss and agree upon performance objectives and measures. Document a business plan to assist the organisation to achieve its goals. What information will each person (position) require? How will you communicate this information? How will you ensure their understanding of their role in implementing the business plan? What financial, human and physical resources do you require to implement your plan? Submit a completed business plan. Consult with key stakeholder (assessor) and document the outcomes of the consultation. Fast Track Couriers is a courier company operating in New South Wales for the last 15 years. Their primary business function is delivering medium to large size packages across metropolitan Sydney. The business has a good reputation in the marketplace for reliability and value for money. After a slow start entering the competitive delivery market, Fast Track Couriers has built a solid reputation over the past 12 years, and this has been reflected in their growth and profit margins. Fast Track Couriers primarily targets small to medium-sized business which make up 80% of their customer base. They are limited by their geographic location, as they currently do not deliver outside of the Sydney metropolitan area. The company has been marketed through direct sales, telephone, internet listings and mail-outs. Through a program of telephone follow-up to ensure customers’ ongoing satisfaction with the business, Fast Track Couriers has an admirable 87% retention rate for existing customers. Although sales and profits have increased each year by an average of 5%, the owners are looking to move forward by delivering to regional areas in NSW. The organisation is family owned, with three family members acting as a Management Board and responsible for approving all business decisions. Managing Director – responsible for daily operational management decisions. Logistics Manager – responsible for the scheduling of the trucks and drivers. 5 office support employees – responsible for administration, accounts, human resources and sales. The organisations strategic goal is to grow the business and increase business profits over the next three years by expanding delivery routes to include regional NSW. increase sales by 40% in the next three years. The owners of the business are not risk takers. They are aware that their ongoing success is the result of a small, experienced team, close personal ties with clients and a reputation for reliable, low cost service. Moving forward, their vision for the company is to retain those strengths and core values through any expansion process. The strategic and operational plans were developed as a result of external market research, indicating a shortage of delivery organisations providing services to regional NSW towns. Fast Track Couriers were looking for their next growth opportunity and saw that this was an ideal opportunity to be seized upon. It was also felt that the company was now sufficiently stable and experienced, and in a financial position to expand the business without risk to their current financial stability or reputation. Reports from the Sales Manager indicated that contracts have been lost because some clients want to engage a courier who can deliver to their regional offices, in particular Newcastle, Wollongong and the Central West. Fast Track is currently unable to meet this demand and therefore some potential clients have been lost. This became a motive to expand operations for both financial and customer service reasons. Fast Track Couriers currently allocates two drivers per truck to ensure that drivers are able to load and unload heavy packages. The strategy going forward is to remove the need for two drivers per truck by installing an automatic lift gate on the back of each truck, at a cost of $10,000 per truck. This will mean that only one driver is needed per truck, as no heavy lifting will be required. This will allow Fast Track to purchase 10 new trucks and use the existing drivers for regional routes. Each new truck will cost $60,000 (including installation of an automatic lift gate). The money to purchase the trucks will be borrowed from the bank on a business loan. The company communicates with employees via email for head office employees, and a printed monthly newsletter for drivers. The company provides information regarding policies and procedures through employee manuals that are kept in each truck. Office-based staff can access copies of these manuals in the office. All trucks are fitted with a GPS system to assist drivers in navigating to each pick-up and drop-off location. Trucks are also assigned a PDA that provides drivers with the details of each delivery, and records when a job starts and finishes. The data from this device is sent back to head office to complete productivity reporting. When this device was introduced, drivers were not happy as they felt it meant that the organisation did not trust them to manually record the time spent on each job. Many drivers also resented having to learn how to use the device and thought it was a waste of time. Head office employees work very closely together as a coherent and motivated team. They are generally positive about the organisational direction and respond well to change. Drivers are currently happy with the work environment, as they enjoy working as part of a two-man team. The Logistics Manager typically leaves the drivers alone to do their job as this is what seems to make them happy. In the past, supervisors and HR have tried to encourage drivers to participate in organisational activities, but this was not received well –the drivers complained and asked not to be involved. The drivers’ view is that their team is the two-man driver team, and they seem to like the comforts of that working environment. Drivers are typically negative about change. They have, in the past, done their best to block any changes from being implemented, even going to the lengths of threatening strike action and getting the Union involved to assist in resolving the issue. high employee engagement scores, citing team work and opportunities have contributed to the company’s success as real motivators. employee demographics are all male employees, aged 25–65. history of industrial disputes regarding pay and other change initiatives. To demonstrate the skills and knowledge required to monitor the performance of a business plan. Monitor the performance of a business plan, through testing and refining of the performance measurement system, and report on progress of the business plan in a timely and effective manner. Review the completed business plan from Assessment Task 1. Identify the key performance objectives. produce a report to capture and test the performance measure. should include graphs, charts or other methods of presenting data. Acceptable levels of variance to planned objectives (where applicable). The timeframe for each report – how frequently reports will be completed. What benchmarking will be used. Who will be the key stakeholder for each report. Submit a report on capturing performance data for each performance measure. Submit a written report explaining how the performance measurement system will be implemented and tested, and how system/product failures and variances to the business will be reported, to whom and when. document how system failures, product failures and variances to the business will be reported, to whom and when. To demonstrate the skills and knowledge required to analyse performance reports, review performance indicators and take appropriate action to address systems failures and variances to the business plan. In this Assessment Task, you will analyse performance data and reports against planned objectives, implement strategies to refine performance indicators, and address coaching and training needs. You are also required to develop and recommend processes for the review of systems, procedures and work methods. Review the case study ‘B&A Toy Warehouse’. Critically analyse the information and write a brief report, responding to each of the following questions. After completing a comparison of current performance against desired performance levels, identify the corrective actions required to achieve the business plan goal of improving warehouse productivity by 10%. What type of corrective actions do you recommend for each performance improvement (e.g. interim, adaptive, corrective, preventative or contingency)? Critically analyse the performance against planned objectives. Report on systems failures which contributed to these results. Consider failures in communication, planning, reporting and training. Review performance indicators and refine if necessary. Comment on the suitability of performance indicators and what changes might be required to achieve organisational goals. Identify and redefine performance measures, if necessary. Document a training and development strategy to address the performance of underperforming individuals or teams. Identify development needs of individuals and groups. Present in a development plan. You have been provided with the following information pertaining to the operation of B&A Toy Warehouse. Review and analyse the information provided, and answer each of the five questions in this case study. After implementing his strategy to monitor and evaluate performance, Tony has identified the areas that require corrective action. Tony knows that in order to do this, he must first complete a more detailed analysis of the warehouse systems and processes, and identify the specific steps required to improve productivity. What is the occurrence rate of the system being out of order and impacting on the packing of orders? How long does it take to train new staff members to use the system? How do the employees who use the system rate its ability in assisting them to process customer orders efficiently? 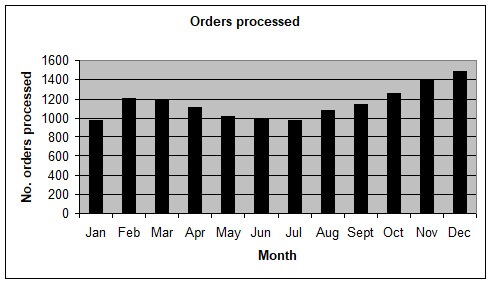 number of boxes per order. Tony also documents the process (from order receipt to dispatch) to assist with his analysis, and to help him to understand the exact process followed in packing an order. Tony also completes the following SWOT analysis to assist with his review. StrengthsWarehouse Management System automates administrative components of the process. 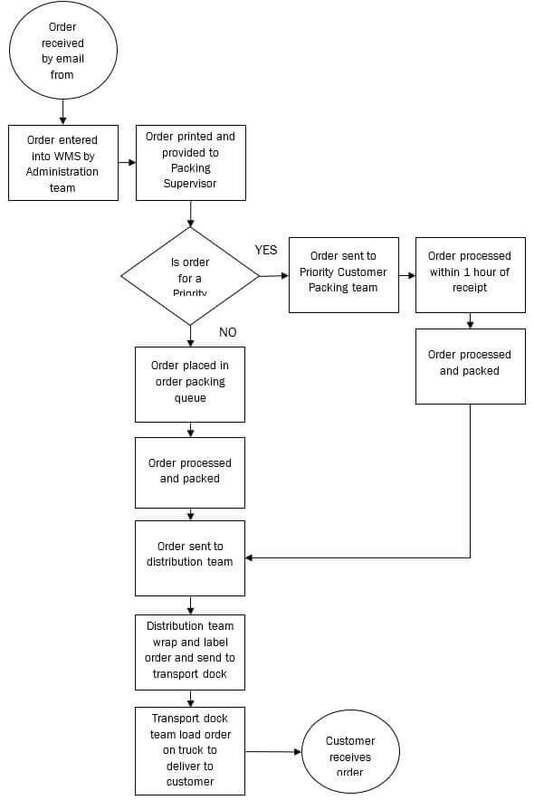 Simple process for packing and distributing customer orders. Good orientation and induction programs for new staff, to ensure they get up to speed quickly. WeaknessesAbsenteeism. Warehouse layout – stock difficult to access. Warehouse supervisors are all junior and new to management roles; they require intensive coaching and support from Warehouse Manager. OpportunitiesWarehouse extension to facilitate better layout. Preferred supplier arrangement to be established with temporary workforce supplier, to ensure provision of temporary labour. ThreatsForklift licence requirements mean that not all staff can drive a forklift. The above requirements also require staff to have time away from packing floor to attend training. Industrial action from Union members due to lack of licensed forklift drivers. At the commencement of the performance year, Tony tasked his management team to complete balanced scorecards for all warehouse team members, and record the key result areas (KRAs) and key performance indicators (KPIs) for each role. This was done to ensure that all warehouse employees understood the performance measures for their role. Tony contacted the Human Resource Manager to obtain a report detailing the KRA’s, KPI’s and performance ratings for all warehouse employees. He wants to evaluate the performance review process and the effectiveness of these measures in assisting the warehouse to achieve its operational plan goals. Only 80% of employees have documented KRA’s and KPI’s – 20% of employees do not know what performance level is expected of them. KPI’s are not aligned with warehouse goals – employees are not clear on what the warehouse is trying to achieve. Majority of KPI’s are not written using SMART format – they are not providing employees with clear expectations on what needs to be achieved and by when. Performance ratings indicate that 50% of employees exceeded performance expectations for the last performance year, which is inconsistent with warehouse end-of-year results (the warehouse did not achieve its operational plan goals last performance year). 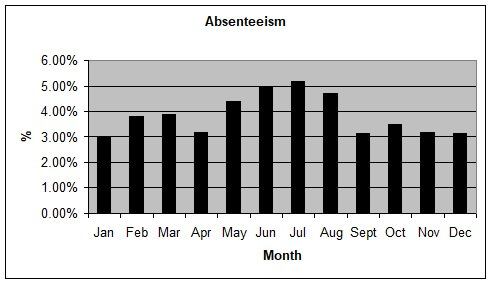 To assist Tony in understanding the warehouse operations, and to identify where he can make improvements to achieve performance objectives and measures, Tony graphs the number of orders processed and absenteeism for each month over the last year. Develop a strategy for reviewing systems processes and work methods at B&A Toy Warehouse. Describe how the implementation of your strategy would lead to continuous improvement.